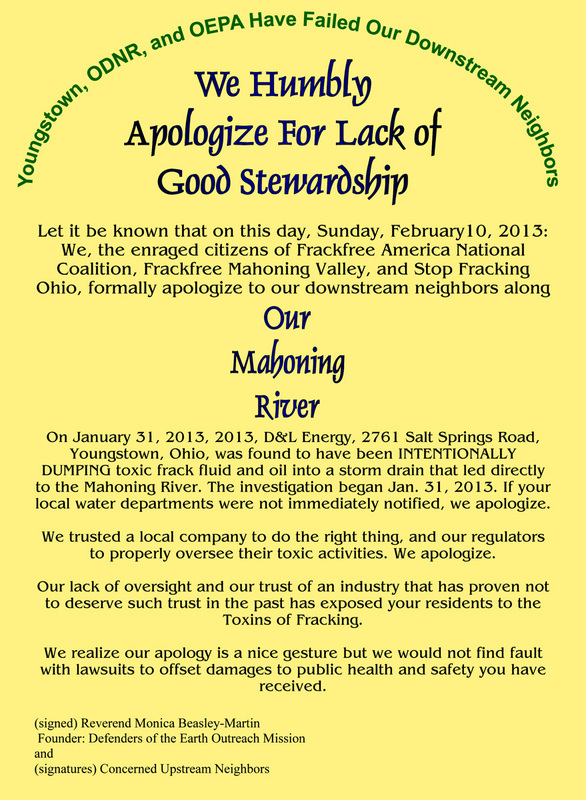 On January 31, 2013, 2013, D&L Energy, 2761 Salt Springs Road, Youngstown, Ohio, was found to have been INTENTIONALLY DUMPING toxic frack fluid and oil into a storm drain that led directly to the Mahoning River. 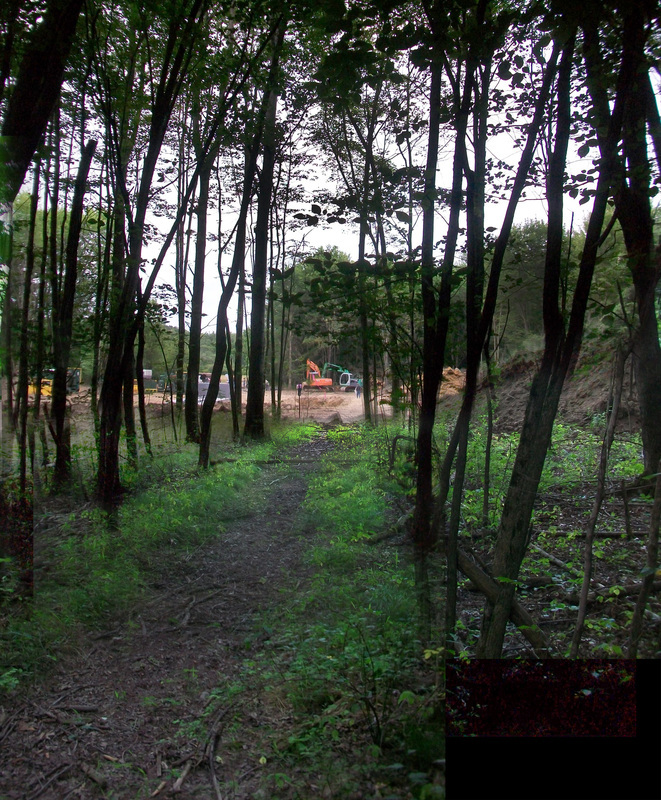 The investigation began Jan. 31, 2013. 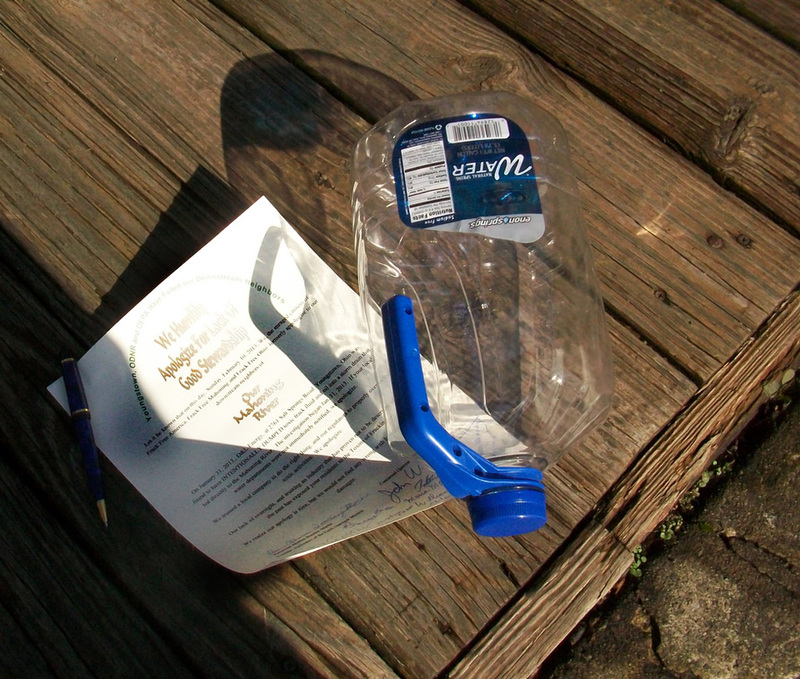 If your local water departments were not immediately notified, we apologize. ~~~ We trusted a local company to do the right thing, and our regulators to properly oversee their toxic activities. We apologize. 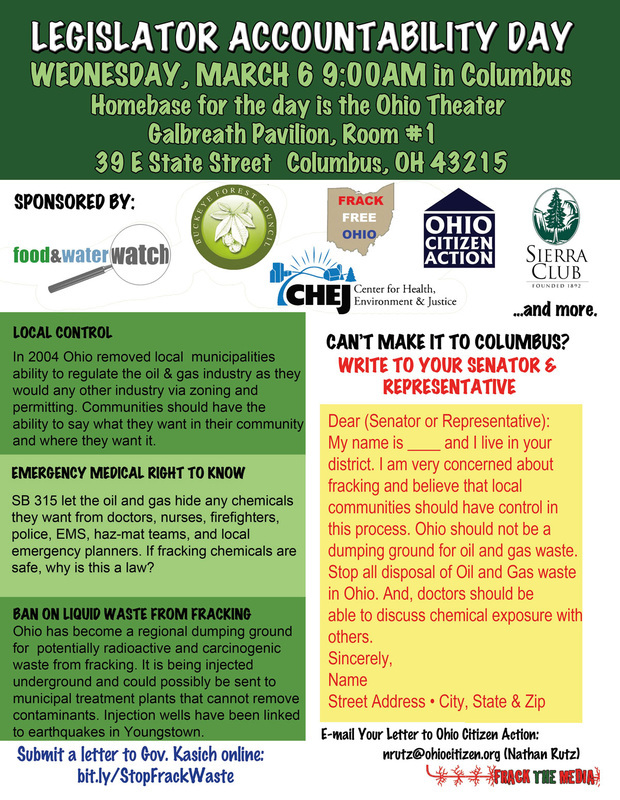 ~~~Our lack of oversight and our trust of an industry that has proven not to deserve such trust in the past has exposed your residents to the Toxins of Fracking. ~~~We realize our apology is a nice gesture but we would not find fault with lawsuits to offset damages to public health and safety you have received." A Wake? 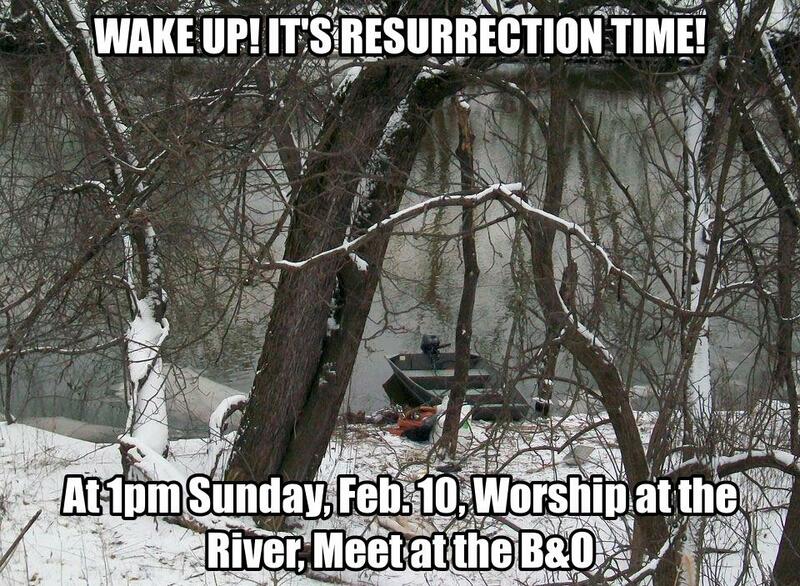 It's Resurrection Time Down at the RIVER! NOTE: we have access to a covered patio w/ seats if there is weather.